Now’s your chance to see this All-American classic perform live in concert. The Eagles – one of the most influential and best-selling American rock bands of all time – are set to perform at Citizens Bank Park on Saturday, July 28 as part of their 2018 North American Tour. The concert will also feature James Taylor & His All-Star Band. Tickets go on sale Saturday, December 2 at 10 a.m. 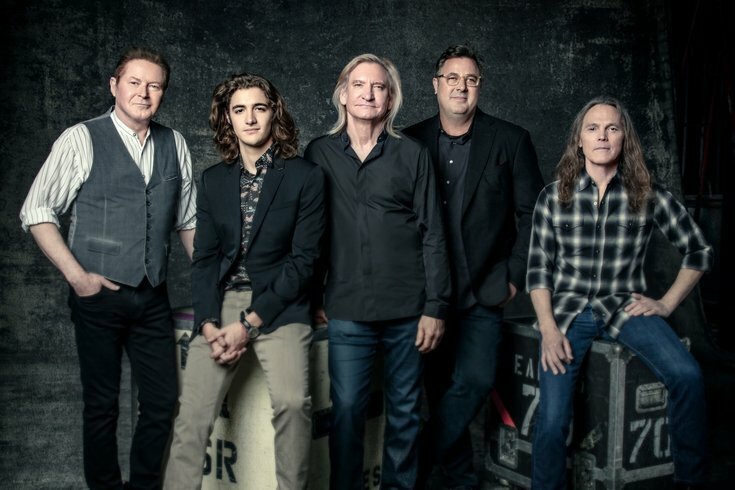 Throughout their career, The Eagles have sold more than 120 million albums, been awarded six Grammys and sold out arenas worldwide with their signature Southern California sound. The band was inducted into the Rock & Roll Hall of Fame in 1998 and is considered one of the most successful rock bands in history. Now’s your chance to see this All-American classic perform live in Philadelphia.